Celox™ blood clotting granules are actually very high surface area flakes. When they come in contact with blood, Celox™ swells, gels, and sticks together to make a gel like plug, without generating any heat. 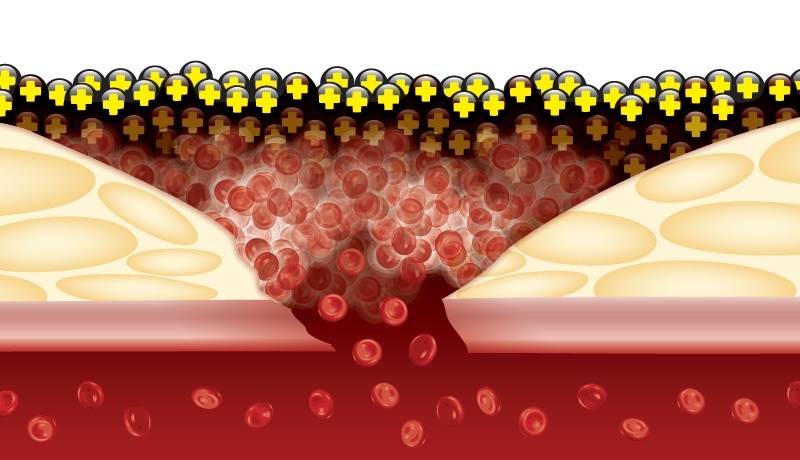 Celox™ blood clotting agent does not set off the normal clotting cascade, it only clots the blood it comes directly into contact with. Clots blood treated with blood-thinning drugs (Heparin, Warfarin or Coumadin1. Celox is easily removed from the wound and residual material is naturally absorbed by the body37. Severe traumatic blood loss quickly leads to the victim becoming hypothermic, irrespective of the outside temperature. 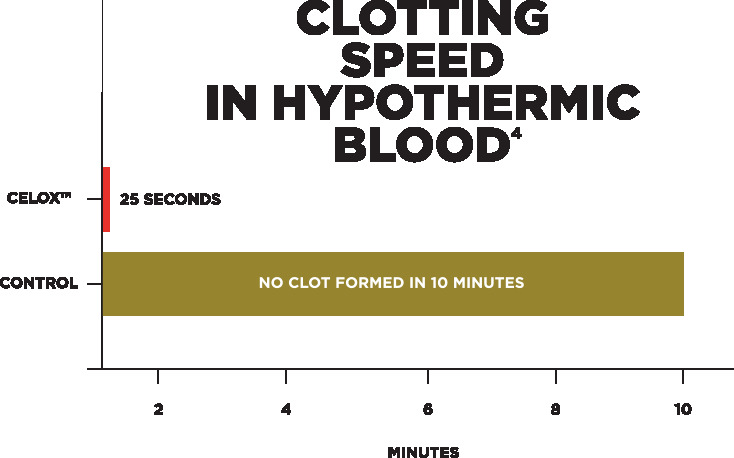 Hypothermic blood is coagulopathic (does not clot normally) and so becomes harder to stop. Because of the way Celox works, it is just as effective in stopping bleeding in hypothermic blood as it is in normal temperature blood and independent testing33 confirms this. There are published human results on blood with severe coagulation problems 35. Note: some of these are cases where the product was used outside of cleared indications and are provided for information only. Quoted from Muzzi et al 2012(reference 35). Celox blood clotting agents do not produce any heat at all in use, unlike some mineral-based hemostats.